ADN vs BSN in Patient Care and Safety Situations: Do Nurses’ Education Improve Patient Outcomes? Today, the majority of the interprofessional medical team, from social workers and pharmacists to physical therapists, already have a minimum bachelor education. So having more and more BSN-prepared nurses is only a natural progression within the field. This does not mean that ADN nurses are not competent. It only means that the needed attributes and skill sets are expanding in order to catch up with an ever-changing climate. Since the healthcare industry is becoming increasingly more complex, reaching higher standards than ever before, the definition of quality patient care and safety is being reshaped and perfected. As a result, the need for better qualified medical staff that can face the day to day challenges is imperative. More and more hospitals are requiring a BSN degree for entry-level RN positions, as the skill set provided by higher education has been linked to better patient outcomes. Explore the relationship between nursing education, experience, and patient safety: from journals to personal experiences. What Does Patient Care Really Entail? Although there are many opinions about what offering well-rounded patient care services may entail, the reality is that proper patient care should not be a term that is left for interpretation. Proper care refers to going above and beyond to make your patients and their families feel comfortable, to inform them about every step that is taken for their treatment, and to administer fast and efficient procedures whenever needed. According to the Institute of Medicine, the term is defined as “providing care that is respectful of, and responsive to, individual patient preferences, needs and values, and ensuring that patient values guide all clinical decisions.” Other studies, however, go one step further in order to prove that compassion is the foundation of patient-centered care. 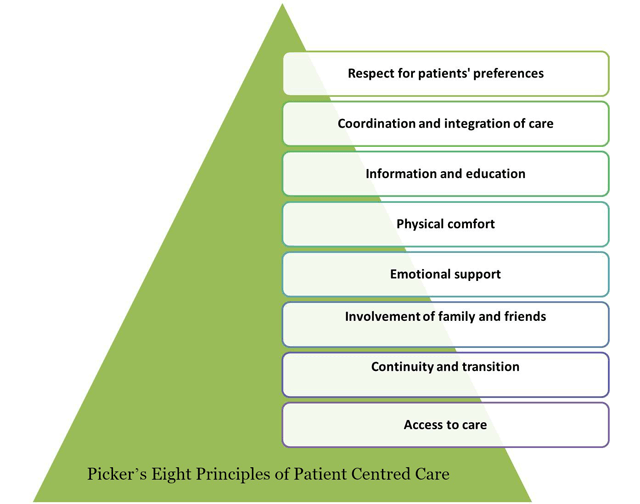 To set a clear view on patient care fundamentals needed for patient satisfaction, Picker Institute has outlined the eight principles of patient care. What Does It Take for Proper Patient Care? To successfully check off all of the above requirements, each hospital has to have the necessary staff and enough registered nurses to ensure a prompt response when needed. It has already been proven that there is a strong connection between the number of RNs working in the hospital, their qualifications and experience to the outcomes of patient care. For example, the National Institute for Health and Care Excellence explains that if the threshold of 8 patients per nurse is surpassed, the hospital is exposed to major risks, while the mandatory staffing policies in the U.S. set a limit of 4 to 7 patients per nurse in acute wards. These limits are to ensure that prompt response is possible, but the abilities of the nurse, once attending on a patient in need, are also vital to the overall outcome. The more training nurses have, the more they can respond to complex situations, without wasting time by waiting for other qualified medical physicians. For this reason, continuous efforts are in place to increase the number of RNs with BSN qualifications in hospitals from 50% to 80% by 2020. Find out what are the steps to getting your BSN degree. The push for BSN-prepared nurses has a solid basis. There is growing evidence that nurse staffing affects the quality of care in hospitals. Several studies, such as the one by The National Center for Biotechnology Information has shown that hospitals with a higher percentage of nurses with a BSN or higher level degree have lower mortality and failure-to-rescue rates, especially when it comes to surgical patients. There is no denying the extensive current research that links patient safety outcomes to ADN and BSN nurses and this can be justified by the different approaches to patient care. 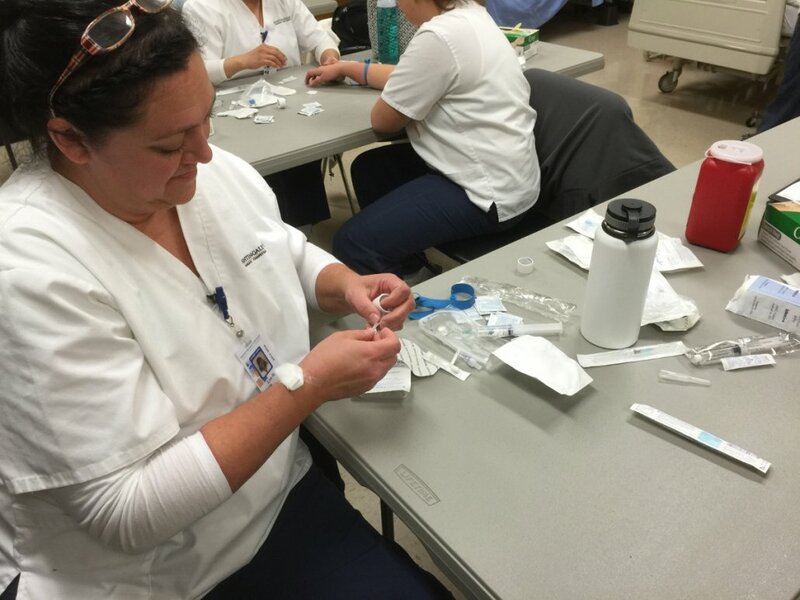 BSN education is designed to improve analytical and critical thinking skills, as well as training for extra procedures that ADN nurses are not qualified to take on. To explore more differences between ADN prepared nurses and BSN educated RNs, take a look at our comprehensive comparison. Are BSN Nurses Safer than ADN Nurses? It is important to note that both ADN and BSN programs prepare nurses to generally accepted standards, which is shown through passing the NCLEX-RN licensure exam, and no one is pointing out to education as a reason for hospital mistakes. The reality is that all hospitals face several systems and process errors that lead to poor outcomes (issues such as medication errors or even hospital-acquired infections). Since facilities are made up of diverse teams, no one can point blame to any one particular person or group of professionals. The statistics only show that a higher educated staff is more equipped to handle a systemic change and counteract any issues that might come forth. At the moment, there are just short of 3 million registered nurses in the United States, shows the Bureau of Labor Statistics, out of which around 55 to 60% are holding a bachelor of science in nursing degree. Although hospitals hoping to obtain Magnet status rise their BSN-educated nursing staff to 80% by 2020, as suggested by the Institute of Medicine (IOM), a large number of hospitals still have more registered nurses without a baccalaureate education than RNs with a BSN degree. Those are the numbers that define the patient outcome of each hospital, as research after research has proven that the safest hospitals have the most BSN-trained nurses. Journals claim that “patients in hospitals in which 60% of nurses had bachelor’s degrees and nurses cared for an average of six patients would have almost 30% lower mortality than patients in hospitals in which only 30% of nurses had bachelor’s degrees and nurses cared for an average of eight patients”. Moreover, as shown by registerednursing.org, a group of researchers from the University of Pennsylvania found that surgical patients in Magnet hospitals had 14% lower odds of inpatient death within 30 days and 12% lower odds of failure-to-rescue compared with patients cared for in non-Magnet hospitals. Researchers found that the positive outcomes were due to the larger number of BSN-educated RNs that work in hospitals with Magnet status. A better understanding of the overall system, as well as better communication with the patients and their families also lead to fewer medical errors such as medication miscalculations or not gathering sufficient information about patients before involving a physician. According to nursejournal.org, administration errors can account for anywhere up to 32% of medication errors. These errors can occur by not verifying reactions or allergies correctly, missing any previous critical conditions or diagnosis, and forgetting to ensure weight and height measurements are accurate. On the other hand, it is easier to miss relevant information before calling the physician, if your training is limited. In-depth training in social sciences, management, research, public and community health, socio-economic backgrounds and leadership can be of great use when correctly assessing the situation of each individual patient. A BSN helps you better understand your patients. Are BSN Nurses Better than ADN Nurses at Patient Care? All of these stats don’t mean that ADN nurses are not good at their jobs or that they are harming their patients. The complex climate of the healthcare system is requiring more and more advanced skills to be able to manage complex situations that were not included in the typical ADN training. More than ever there is an urgent need for more nursing leadership roles, which demand more training, in-depth knowledge and education. In other words, an ADN nurse is perfectly qualified to deliver high standard patient care, but the nursing job requirements are changing into more complex roles. To put it simply, a BSN education covers all the information of the ADN, followed by approximately an extra year and a half of in-depth training in social sciences, management, research, public and community health, and leadership. This gives a BSN registered nurse a better understanding of the cultural, economic and social issues that affect the patient and influence health care delivery systems. These differences not only have an impact on the day-to-day care of the patient, but skills gained during the bachelor’s degree studies also help nurses communicate better with their patients and establish trust and a stronger relationship. Having a better understanding of the entire healthcare system and a more in-depth understanding about a patient’s overall history automatically helps nurses make better and faster decisions, make fewer errors and better guide the patients and their families. This does not mean that ADN nurses are not good at their jobs or safe, it just means that BSN nurses hold more information and training that can make the difference between life and death in crucial situations. Continue reading to learn how a BSN education can help you. If you already have an ADN education, you can extend your knowledge with an RN to BSN program. These programs are meant to provide specialization and more insights into the fields already discussed during your ADN studies, providing further competencies that can help nurses manage more complex issues. According to The American Association of Colleges of Nursing (AACN), the educational preparation of BSN nurses include training in decision making. It teaches you how to asses the situation correctly, no matter how complicated, and make better decisions for your patients. A typical BSN program will provide a focus on patient education and community education, as well as clinical and scientific courses, which will help make better patient assessments. Further communication and management skills will be developed within the bachelor’s program. This will teach you how to communicate with your patients better, in order to establish trust and create a better relationship, but also create a stronger bond with your fellow nurses, especially if you are holding a leadership role. Patient care is not over once they walk out the hospital doors. It’s up to nurses to explain to patients and their families how to continue their treatment correctly after they leave the facility. Explaining everything correctly and emphasizing the importance of continuing the treatment in a convincing matter can make all the difference. The advanced communication skills will also help improve the essential patient-nurse communication. Take a look at the RN requirements by state. Do ADN Nurses fall Short When it Comes to Patient Care? While a typical ADN program offers standard overall training of the nursing field, a BSN program focuses more on research and information, including rotations in the community and public health settings. But when it comes to clinical experience, a bachelor’s program does not offer more experience, and learners will not be more prepared to carry out procedures than learners exiting associate programs. However, the insight into hospital managerial aspects, the leadership knowledge and, especially, the view on the healthcare field as a whole makes BSN nurses more prepared and more informed to make decisions in the interest of the patients and helps them better understand and relate to the patients. The small differences in procedures and decisions that are commonly adopted by RNs with a BSN translate into a statistical difference in outcomes, although this is not obvious at an individual level. What Patient Care Aspects are Improved With a BSN Education? The main purpose of a bachelor’s degree is to broaden the learner’s scope of practice and offer nurses the opportunity for enhanced professional development. During your studies, you dive more in-depth into issues and subject matters, you get specialized and get a better perspective about the nursing job as a whole due to managerial skills you learn. This is one of the primary duties of a nurse, and, as previously mentions, this is where several errors occur. A BSN can increase your knowledge of medications and safety initiatives, which is crucial in preventing errors while maintaining a fast-paced workflow. Advancement in technology is happening faster and faster, so being able to properly use high tech systems and machines, as well as quickly adapting to any innovations that might come forth is a huge advantage for any nurse. Even reading a patient’s medical record implies going through an electronic system. We live in a technology-driven world, and the medical field is no exception. Another key aspect of a nurse’s job is to carefully and properly assess how patients are responding to their treatment and suggest alternative solutions if needed. This is also possible once you’ve completed a bachelor’s program. As a simple RN, you might not be able to make these changes without the assistance of a physician, but a BSN qualification gives you the training to take on more responsibilities. The patient’s family should always be aware of each step of the treatment that their loved one is following, but the level of detail is ultimately left up to the nurse. A good nurse will know how to find the proper balance in their communication with family members. It is also up to the nurse to properly explain what are the patient’s needs, with recommendations from the physician, once they leave the hospital and treatment will be mostly left up to the family. A registered nurse with a BSN education will have more skills to coach the patient’s loved ones and help them understand exactly what they need to do. Nurses, expand your skills and knowledge by following an RN to BSN program. 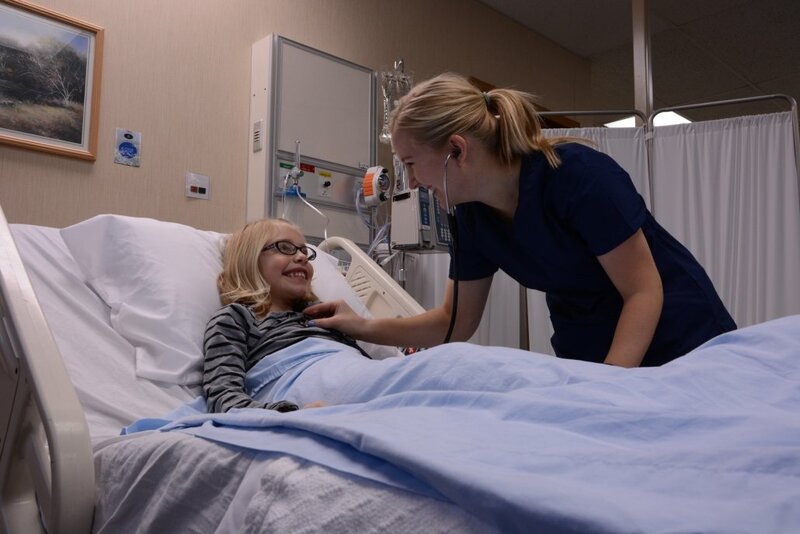 Apart from the direct impact that BSN-educated nurses will have on the patient outcomes, there are also many secondary benefits that this higher degree will bring to nurses’ lives, both from a professional standpoint as well as on a personal level. Firstly, a BSN degree offers nurses the option to climb the ladder into higher nursing roles, which also come with a pay raise. This aspect has proven to be a great motivator to being better at your job. American Association of Colleges of Nursing (AACN) has vocally sustained the strategy to increase the number of BSN-educated nurses. As one of the strongest arguments, AACN has cited studies that found a much higher job satisfaction among BSN-educated registered nurses. These nurses ultimately assume management and work towards a safer work environment. Find out other reasons why it’s helpful to get a BSN when you’re already an RN! 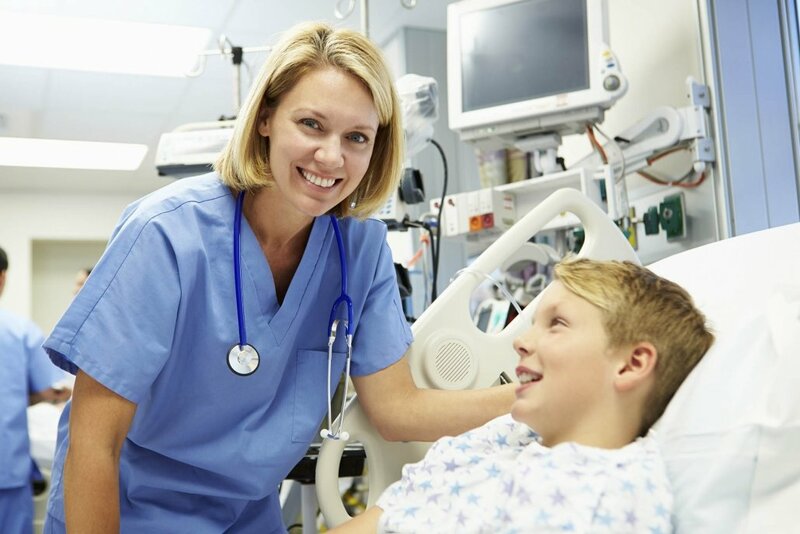 The role of a BSN program or the RN to BSN program is to take all the great skills of an ADN-educated nurse and elevate them further, building on them in order to take the entire nursing process to the next level. By examining different approaches to care for patients, their families and the community, the patient care outcome improves, providing safer units with nurses qualified to handle the diverse, complex care of the population. Get in touch to find out more about the RN to BSN program! What is the average waitlist time for a nursing program?